Lyme disease is a bacterial infection caused by a bacterium called Borreliaburgdorferi. These bacteria are transmitted to humans by an infected bite from a black-legged or deer tick. The good news is that if you recognize the symptoms and catch it early, Lyme disease is very treatable. The disease was first reported in the town of Old Lyme, Connecticut, in 1975, and since then has become one of the most common tick-borne illness in the Pacific Northwest and Northeast regions of the United States. Lyme disease is also common in and Upper Midwest regions. Internationally, it is widely prevalent in many parts of Europe. Here is everything you need to know about Lyme disease, its causes, symptoms, treatment, and prevention. Lyme disease causing tick becomes infected after feeding on deer or mice infected with the bacteria Borreliaburgdorferi. However, to transmit the infection, a tick has to be present on your skin for at least 24 to 48 hours. Most people with Lyme disease never have a recollection of being bitten by any ticks. If left untreated the bacterium establishes itself in various body tissues by traveling through the bloodstream where it causes a number of symptoms. Some symptoms of Lyme disease can be quite severe. Often times, within 7-14 days at the site of a tick bite, an erythema migrans (EM) rash appears. Lyme disease manifests in the body as a multisystem inflammatory disease with 3 stages – early localized, early disseminated, and late disseminated. The early localized stage begins one to two weeks after the tick bite with the ‘bull’s-eye’ rash being the first symptom. This is the first sign of bacteria multiplying in the bloodstream. The rash is formally called erythema migrans (EM) rash. The central red spot is surrounded by a clear spot with an area of redness at the edge of the site of the tick bite. This is not painful to touch and does not itch, even if it may be warm to the touch. Stage 2 is the early disseminated Lyme disease occurring several weeks after the tick bite. The bacterium begins to spread around the body during this stage and it is characterized by flu-like symptoms, such as chills, fever, sore throat, fatigue, headache, vision change, and muscle spasms. You will generally feel very unwell during this stage and rashes may begin appearing in areas other than the tick bite. It is possible for neurological signs to manifest themselves in the form of tingling and numbness. The third and final stage of Lyme disease (if left untreated) is the late disseminated Lyme disease which can occur weeks, months, or years after the tick bite. You may experience severe headaches, arthritis, short-term memory loss, mental fogginess, brain disorders, and disturbance in heart rhythms. Lyme disease is treatable when diagnosed in the earlier stages. However, it is important that you consult a doctor and get immediate medical attention regardless of the stage the disease is in. Early treatment of Lyme disease is a simple antibiotic course ranging from 14 to 21 days to eliminate all traces of the infection. Doxycycline is the treatment of choice for adults and children older than 8 years old. Cefuroxime and amoxicillin is used for certain sensitive adults, younger children, and women who are nursing or breastfeeding. Intravenous antibiotics are provided in the case of persistent or chronic Lyme disease. The symptoms may take a long time to fade away. However, the infection can be eliminated with a rigorous antibiotic course. However, people prone to autoimmune disease may experience persistent symptoms, like joint pain, even after the infection is eliminated. Your body is home to trillions of good bacteria who toil away to ensure you are healthy. Antibiotics are known to wipe out whole colonies of these friendly bacteria or probiotics. It’s critical that you take probiotics along with the Lyme disease antibiotics to prevent further complications in terms of immunity, digestion, and absorption of nutrients. A major cause of worry in Lyme disease is people stopping medication mid-way because antibiotics come with their own set of side-effects. Thrush, constipation, diarrhea, abdominal pain, and loss of appetite are some common antibiotic side-effects. Taking live culture in the form of probiotic supplements can reduce the risk of unpleasant side effects. Moreover, this allows you to complete your antibiotic course and reduce the risk of antibiotic resistance. People who are prone to autoimmune disease should take probiotics as well. Research indicates that probiotics have the capability to train your immune system and prevent it from self-damaging. Probiotics also prevent immune responses from triggering where they are not required. If you live in northern California, near the Sierra Nevadas, you should cut down the manzanita bushes if you have any. Not only are manzanita bushes excellent fire starters which is not good tics like to rest in them until a cat or a dog or even a human walks by them. This is how tics get on you or one way. You pet your dog or cat and they latch on to you. 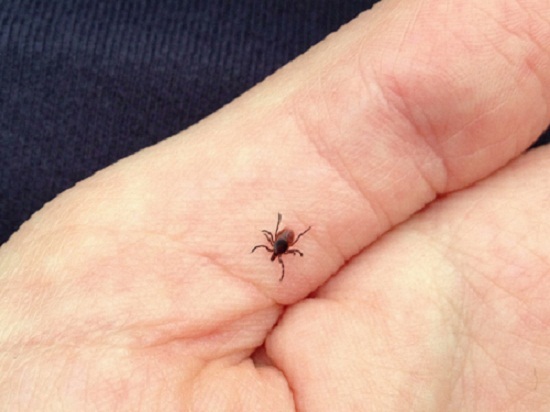 Preventing Lyme disease mostly involves decreasing the risk of experiencing a tick bite. Identify whether you live in a neighborhood where ticks are rampant. For instance, if you live in the countryside or the suburbs, then you should consider wearing long pants and long-sleeve shirts whenever stepping outside. You can also take steps to make your yard as unfriendly to ticks as possible by putting woodpiles only in areas with a lot of sun, keeping underbrush to a minimum, and clearing wooded areas. Ticks like clinging on to the long grass blades. Hence, make sure you mow your lawn frequently during tick season. Create your own natural tick repellent by mixing water with 10% oil of lemon or eucalyptus. Spray this mix on your clothes to naturally repel ticks for up to 2 hours. It works the same way as DEET. If you find a tick on yourself or your pet, then make sure you remove the tick with the help of tweezers. Apply the tweezers near the mouth of the tick and pull gently. You can also douse the tick in some lemon juice first so that it loosens its hold. Most tick bites are harmless and in fact only 1% of the ticks are known to carry the bacteria Borreliaburgdorferi. However, prevention is always better than cure and it is important that you take steps to protect yourselves from a tick bite. People who have suffered from Lyme disease once can easily contract the infection again.